The ideal hose for medium pressure hydraulic lines commonly used on Fork Trucks. The "Plus" refers to the specially engineered low friction cover compound which helps in eliminating hose routing problems between hose sheaves and pulleys. 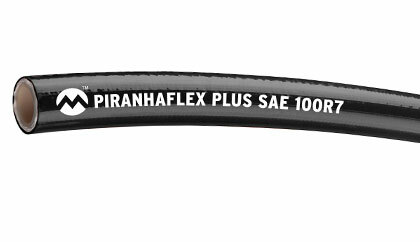 Use of Piranhaflex™ Plus helps in extending hose service life with less frequent replacement and allows for increased flexibility and easier routing when hoses are bundled. Click here for more info.